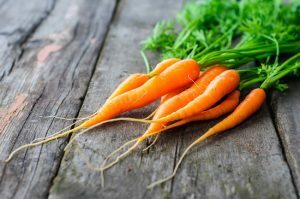 Blog » Health Blog » Eye Health » Which Food is Good for Eyes? Watching the sunset, seeing a cute puppy walk for the first time, buying a hot pair of jeans: you can’t enjoy any of these experiences without your eyes. We clear out earwax on regular basis, brush our teeth every day, take a bath every day but what exactly do we do for our eyes? Not much, right? Well, what you can start doing now is eating right. Like all the other organs in our bodies, healthy eyes and a good eyesight are hugely dependent on our diet and eating food good for eyes, in the right amount can ensure good eye health. Always remember, good eye health starts with the food on your plate. Here are some of the best food good for eyes, that you can eat to keep those beautiful eyes at their healthiest best. These 5 foods will keep your eyes healthy and vision strong. Turns out spinach does much more than just give you Popeye-like strong muscles. 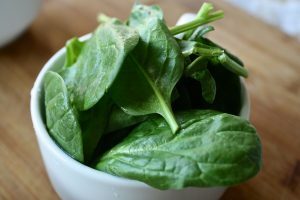 Often considered to be one of the world’s healthiest foods, spinach is a rich source of proteins, vitamins and minerals and does wonders for the eyesight. Therefore, it is a food good for eyes and to ensure healthy eyes and vision. So the next time you make a face when spinach is served on the table, think about all the great things it can do for your health and eat it all up. Also, read about: How To Reduce Eye Strain Using 20 – 20 – 20 Rule. Walnut is also among the highly recommended food good for eyes and eye health. India is one of the largest producers of walnuts in the world and so it is easily available almost everywhere in the country. 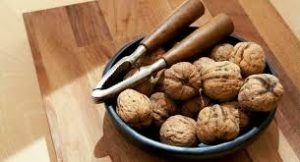 High in and calories (but with good reason,) walnuts are a great source of omega-3 fatty acids that help in reducing the blood pressure and other cardiac ailments. Apart from being your eyes’ best friend, experts also believe that they go a long way in protecting the body against many types of cancers, namely, prostate cancer, colon cancer and breast cancer, among others. Think about that the next time you have your mid-meal hunger pangs! Also, read about: Vitamin D Rich Foods. 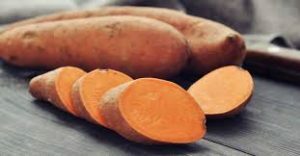 A powerhouse of vitamins and minerals, including Vitamin B6, Vitamin C, Vitamin D, Iron, Magnesium; Sweet potatoes taste great too! Consuming them can help your eyes on the inside and out! (Did you know that it is also popularly used in eye masks?) We just gave you a very good reason to start eating sweet potato salad- do it, you’ll thank us later. Remember how Japanese cartoon character Shin-Chan ran away from peppers? Well, not a smart move. 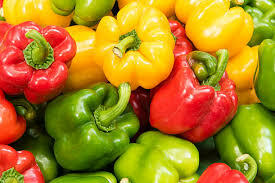 Peppers don’t just brighten up your plate, they are a food good for eyes and vision. If that isn’t good enough reason for you, how about this- they help you burn fat! So think of it as a bonus and buy them instead of your usual pack of chips on your next trip to the grocery store.